There's Always a Welcome at Home. 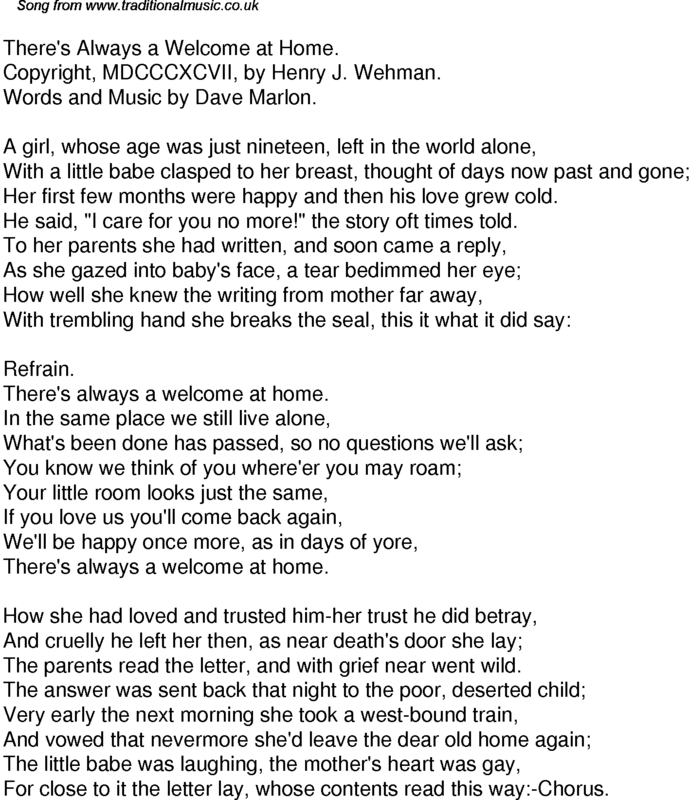 Copyright, MDCCCXCVII, by Henry J. Wehman. Words and Music by Dave Marlon. Her first few months were happy and then his love grew cold. He said, "I care for you no more!" the story oft times told. The parents read the letter, and with grief near went wild. For close to it the letter lay, whose contents read this way:-Chorus.